This is the best selling small SUV of 2015! 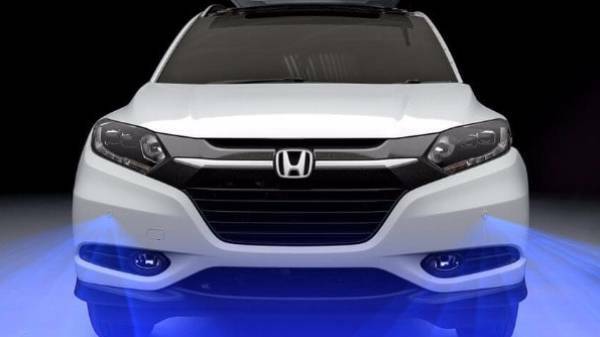 Yes the HR-V is an easy to drive a car, that’s great on fuel and offers so much space inside. With its original meticulous design offering you a car for everyday life. You’re provided with a rugged look from this small SUV with its modern bold front grill and its chunky yet elegant flowing bumpers that merge into the body lines of this unique car. It offers a sporty look as its styling offers you a coupe look with its hidden rear door handles that just disappear into the tapered rear windows. You’ll be noticed on the road when driving your family or just nipping to the shops with this stunning looking SUV. This is a car designed not just for style but for a purpose. 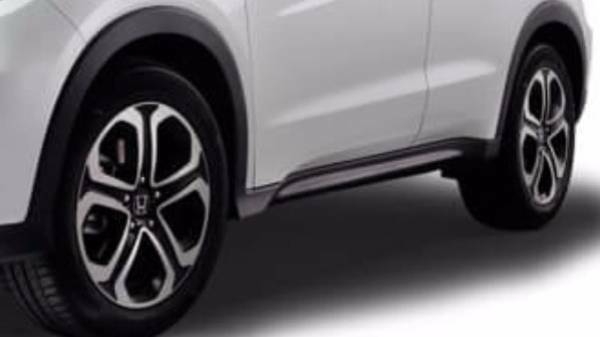 Its flowing body lines are not just a pleasure to look at they are also part of the HR-V’s aerodynamics, which makes this small SUV’s one of the most economical in its class. Honda has gone above and beyond when designing this cockpit. Every detail is well planned out, keeping not just the driver's needs but also taking into account what a passenger wants in a car. You’ll find all controls at your fingertips or within reach of your driving position. 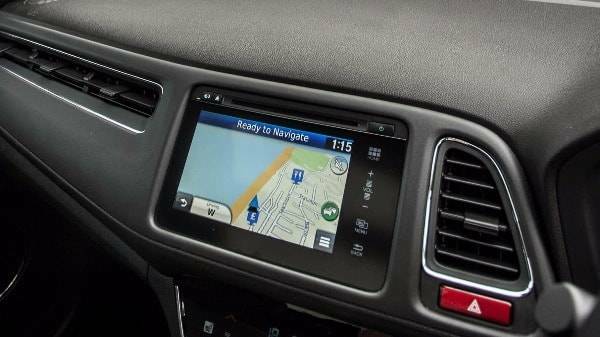 You can stay connected with Honda Connect touchscreen entertainment system, this way you can stay in full control of your music, sat nav along with the other features. You are presented with all the feature you expect from a modern car, as well as some extras. Honda has really packed the technology within this cockpit, but it's not confusing like some models. Space isn’t an issue in this SUV, it has many tricks up its sleeve. 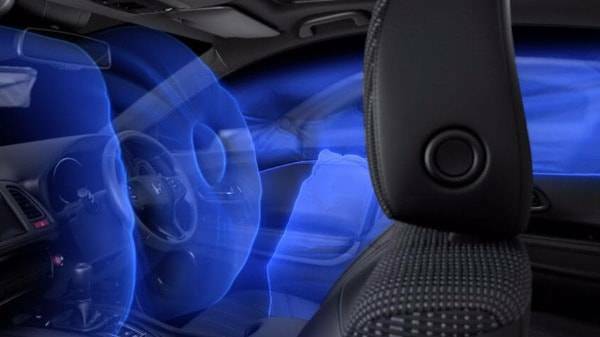 As the HR-V has its fuel tank positioned centrally it frees up space for the rear seats to become magical. You'll find the rear of this car very flexible as the rear 60:40 split seats can be folded and positioned in many different ways. With a single motion, you can fold the seats up towards the headrest, this provides you with a tall space behind the front seats. 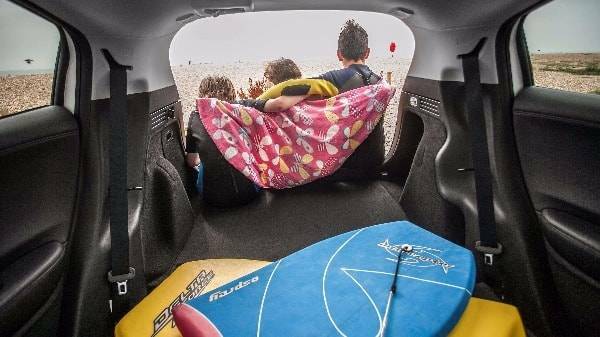 The boot space is ideal for packing everything you need within. The designers have provided a low loading height as well as a wide rear tailgate making it easier to access the boot. Once the tailgate is opened you are presented with a boot space of 470 litres that can be adapted into 1,026 litres with the rear seats folded flat. All in all you’re offered a sense of space when sat it this small SUV which is a difficult design achievement. You have a huge head and legroom as well as a light spacious feel due to the full panoramic glass roof (offered on certain models). City-Brake Active System (feature on all grades), this monitors slow moving traffic in front and warns or brakes for you when there may be a forward collision. Lane Departure Warning System, providing an early warning if your car deviates outside of the lane you're in without indicating. Intelligent Speed Limiter, this is a traffic sign recognition and won’t let the car go above the set speed limit (available on some grades). 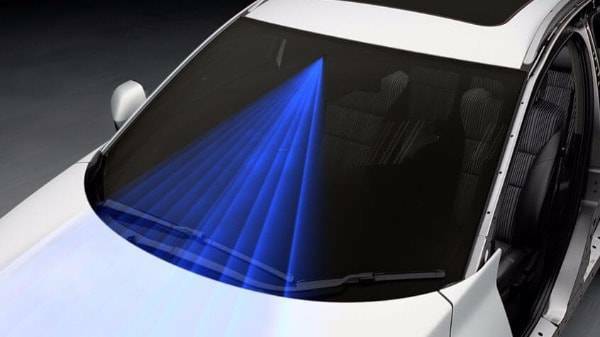 High Beam Support System, it assesses the driving conditions around you and switches on your high or low beam when needed. New 1.5litre i-VTEC with a CVT automatic transmission. The above engine choices provide a fuel efficient drive that still has the power to excite. Some of this fuel efficiency is due to its idle stop helping deliver a low C02 emission of 104g/km. If you're looking to further save fuel there is an ECON button, once pressed offers you a gentler throttle response, efficient power and torque controls as well as adjusting the AC to run efficiently. 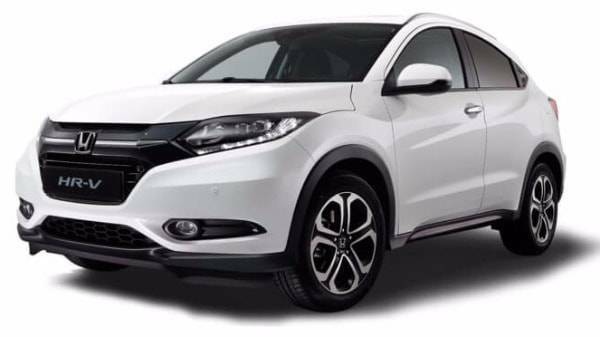 The HR-V is available in 8 sophisticated colours, so why not pick a colour and a car that will make a statement on the road? 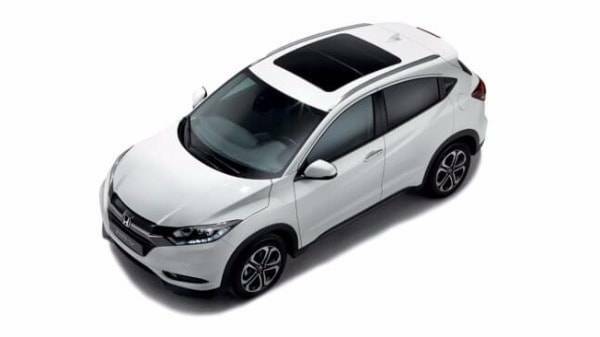 If you’re interested in this model and would like to take it for a test drive, head down to one of our Honda dealerships based in Taunton or Weston-super-Mare. 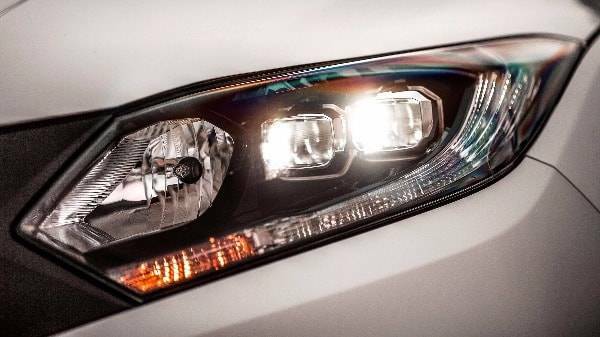 At the showrooms, our friendly and helpful team will be at the ready to answer any questions you may have on the range, as well as provide you with the latest Honda leasing offers including personal, contract hire and business fleet. We look forward to seeing you!